Quote: Paris (AFP) - They fit in a pocket, have batteries that last all week and are almost indestructible: old-school Nokias, Ericssons and Motorolas are making a comeback as consumers tired of fragile and overly-wired smartphones go retro. Forget apps, video calls and smiley faces, handsets like the Nokia 3310 or the Motorola StarTAC 130 allows just basic text messaging and phone calls. But demand for them is growing and some of these second-hand models are fetching prices as high as 1,000 euros a piece. "Some people don't blink at the prices, we have models at more than 1,000 euros. The high prices are due to the difficulty in finding those models, which were limited editions in their time," said Djassem Haddad, who started the site vintagemobile.fr in 2009. Haddad had been eying a niche market, but since last year, sales have taken off, he said. Over the past two to three years, he has sold some 10,000 handsets, "with a real acceleration from the beginning of 2013". "The aging population is looking for simpler phones, while other consumers want a second cheap phone," he said. Among the top-sellers on the website is the Nokia 8210, with a tiny monochrome screen and plastic buttons, at 59.99 euros. Ironically, the trend is just starting as the telecommunications industry consigns such handsets to the recycling bins, hailing smartphones as the way ahead. Finnish giant Nokia, which was undisputedly the biggest mobile phone company before the advent of Apple's iPhone or Samsung's Galaxy, offloaded its handset division to Microsoft this year after failing to catch the smartphone wave. But it was probably also the supposedly irreversible switch towards smartphone that has given the old school phone an unexpected boost. For Damien Douani, an expert on new technologies at FaDa agency, it is simply trendy now to be using the retro phone. There is "a great sensation of finding an object that we knew during another era -- a little like paying for vintage sneakers that we couldn't afford when we were teenagers," Douani told AFP. There is also "a logic of counter-culture in reaction to the over-connectedness of today's society, with disconnection being the current trend." "That includes the need to return to what is essential and a basic telephone that is used only for making phone calls and sending SMSes," he added. It is also about "being different. Today, everyone has a smartphone that looks just like another, while ten years ago, brands were much more creative". It is a mostly high-end clientele that is shopping at French online shop Lekki, which sells "a range of vintage, revamped mobile phones". "Too many online social networks and an excess of email and applications, have made us slaves to technology in our everyday life. But Lekki provides a solution, allowing a return to basic features and entertainments," it said on its website. A Motorola StarTac 130 -- a model launched in 1998 -- and repainted bright orange was recently offered for 180 euros, while an Ericsson A2628 with gold coloured keys for 80 euros. "We have two types of profiles: the 25 to 35 year-olds attracted by the retro and offbeat side of a telephone that is a little different, and those who are nostalgic for the phone that they used when they were younger," said Maxime Chanson, who founded Lekki in 2010. "Some use it to complement their smartphone, but others are going for the vintage, tired of the technology race between the phone makers." Another advantage of using an older, classic mobile phone, is that those phones do not have GPS receivers in them, so it is not possible to track your precise location. (05-26-2014, 11:30 PM)velvetfog Wrote: Another advantage of using an older, classic mobile phone, is that those phones do not have GPS receivers in them, so it is not possible to track your precise location. it's still possible to triangulate a radio signal down to a few feet. The above phones were the most popular company phones and every few months I used to get new ones given me (Don't know why they would just arrive) after seeing this thread I have checked my old phone drawer/graveyard and I will be trying to charge and test 9 of the Motorollers and 8 Nokia's so thanks for the heads up and this thread. Nokia 1100. My favourite. You are right about the heating up Sri. 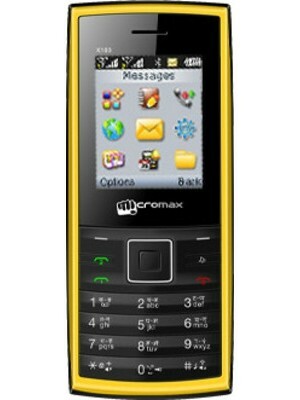 My present phone is Mircomax X101i. It is under Rupees 1000/- (about USD 15). There seem to be a couple of variants. Yes, but that requires supervisory access to multiple cell towers within an area. The point I was making, was that the older phones, without GPS receivers in them, provide an added level of privacy.